Variously praised as a major step forward in indigenous cinema, attacked for overambition, and little screened, Te Rua marked Barry Barclay’s impassioned follow-up to Ngati. 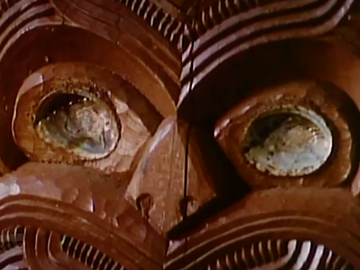 This story of stolen Māori carvings in a Berlin museum sees Barclay plunging into issues of control of indigenous culture he would return to in book Mana Tuturu. Feisty activist (Peter Kaa) and elder lawyer (screen taonga Wi Kuki Kaa) favour different approaches to getting the carvings back home. Barclay and his longtime producer John O’Shea had their own differences over Te Rua’s final cut. 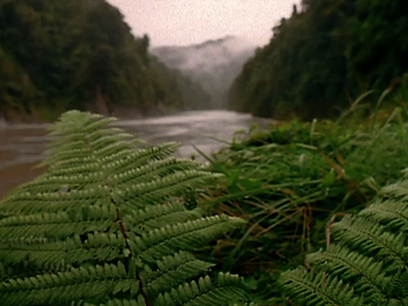 Haunui Royal directs this 1999 documentary on the people who live in the Far North, and their guardianship (kaitiakitanga) connection with the land and sea. Royal looks at how this traditional ownership is under pressure: from urban sprawl, pollution, and changing land use. Kaitiaki include farmer Laly Haddon, fisherman Rick, paralegal Ani Taniwha (whose work with ōi (shearwater) helped deepen her connection to the land); Ngāti Kuri members looking after Te Rerenga Wairua (Cape Reinga), and a group of rangatahi from Auckland. This documentary explores the stories of the people who live at Waiorua Bay on bird sanctuary Kāpiti Island. John Barrett talks about his Kāpiti tīpuna, from bloody iwi battles, whaling and farming, to his whānau's consciousness of their kaitiakitanga (guardianship) role. It looks at DIY island life (exercycle-powered water pumps) and its development as an unique eco-tourism destination where kākā parrots and kererū flock, and kiwi and dodo-like takahē wander freely. Says Amo Barrett: "we've got a treasure here that we should share with others". 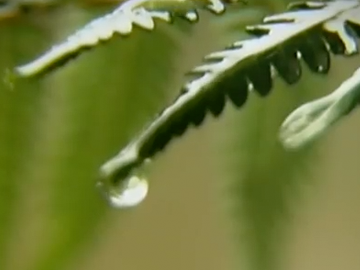 This 76-minute documentary looks at efforts to restore the mauri (life spirit) of Northland's Lake Omapere, a large fresh water lake — and taonga to the Ngāpuhi people — made toxic by pollution. Simon Marler's film offers a timely challenge to New Zealand's 100% Pure branding, and an argument for kaitiakitanga (guardianship) that respects ecological and spiritual well-being. There is spectacular footage of the lake's endangered long-finned eel. Barry Barclay in Onfilm called the film "powerful, sobering". It screened at the 2008 National Geographic All Roads Film Festival.